Do you know what your home is worth? Get a free market report on your home and find out how the Executive Homes Group can help market your home to sell in the fastest way possible. With decades of experience assisting executives moving into the San Francisco Bay Area, including international buyers, we can help you transition to the Bay Area smoothly. 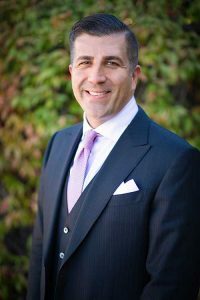 Top Fremont Realtor, Joseph Sabeh and the Executive Homes Group specialize in representing the finest luxury real estate in the Fremont Tri-cities area as well as exceptional San Francisco and Silicon Valley real estate. His expertise in marketing Fremont homes for sale has made him a sought after Realtor by both buyers and sellers. We help buyers find and select the perfect Bay Area home, and help sellers show their home’s fullest potential. Our philosophy is to approach our real estate practice with integrity, trust, and ethics. "It has been a pleasure working with Joseph as he recently listed and sold our home in about three weeks. We have been impressed with his professionalism and level of detail during the whole process of selling. We could no be happier." "Recently I had the pleasure of working with Joseph Sabeh of Executive Homes Group to sell my townhouse in Fremont. Joe is highly competent, a great strategist, and always available to talk whenever it's necessary. I give Joe my highest recommendation as a Realtor and an all-around great person. I will use him again in the future."